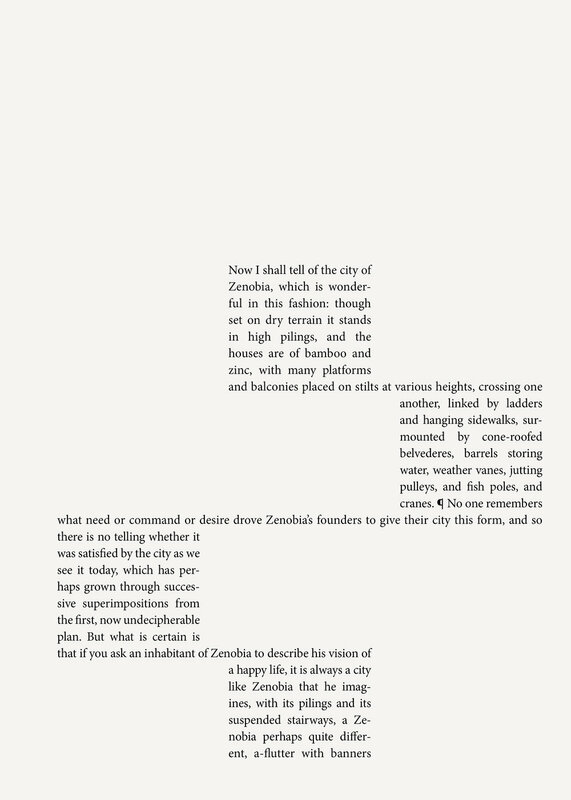 Published in 1972 by Italo Calvino, Invisible Cities is a classic amongst travelogues. The lack of a storyline allows for a reader to wonder in the vast dream-like cities. As a work of fiction these cities are unique and represent different ideas, reflections of its own population and refractions of their desires. Zenobia is one of these cities, and upon my research, a favorite of many readers. The allure of Zenobia, I believe, is in its visibility. The image of towering houses constructed on stilts, linked by ladders and long hanging sidewalk is extremely palpable. However illustrations of Zenobia are underwhelming. The foundation of its beauty is in the construction, and time is of its essence. 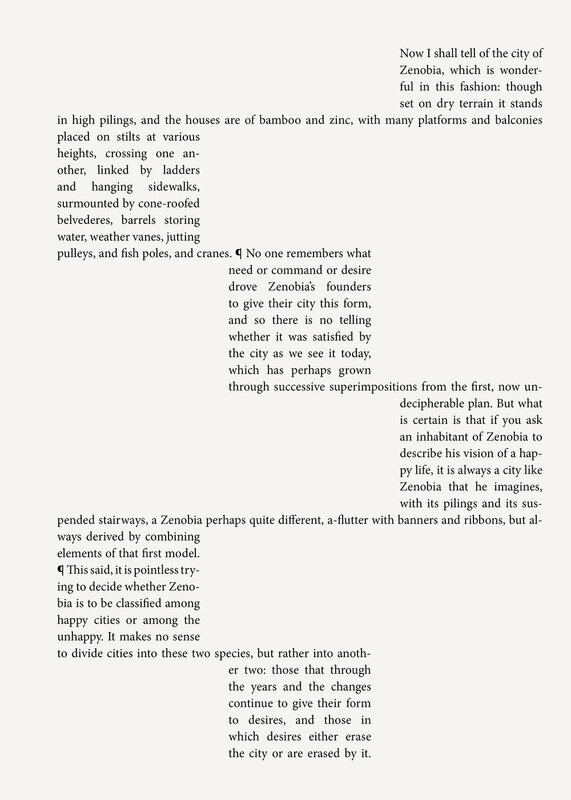 An image could never portray Zenobia better than the text, for like the ladders, words hang on to their neighbors, paragraphs remain the distant but linked by meaning. Zenobia is not a long standing city, but a one that was built upon itself. Reread the story from the beginning every page. Construct a connection between previous excerpts.